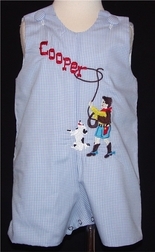 This cute John John or longall if you choose is made with light blue gingham. The cutest part? 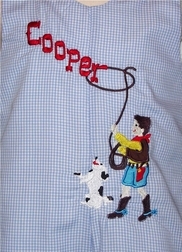 The front is appliqued with a young cowpoke and his dog trying to lasso his name!